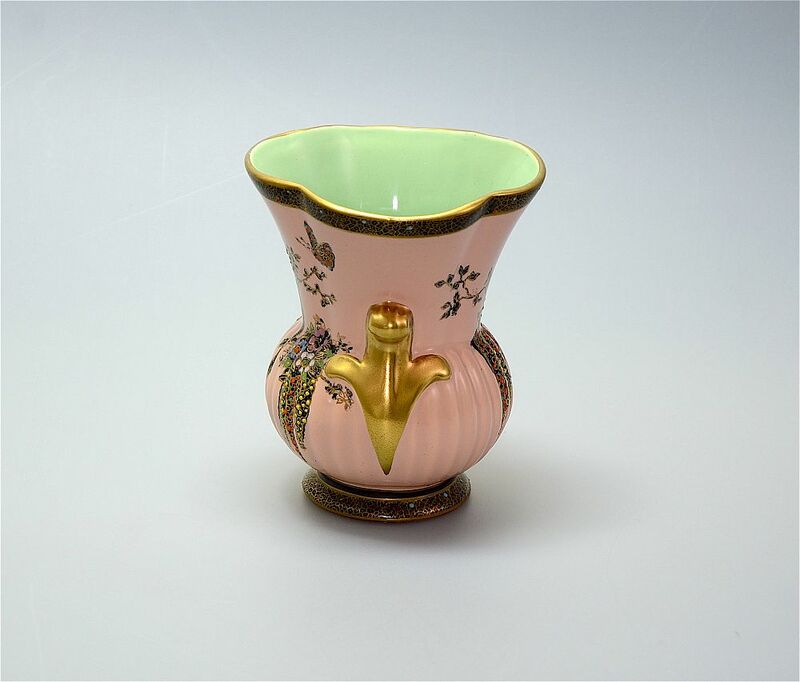 This lovely small vase was made by Crown Devon in the 1950s. The small foot of the vase is painted black with a mottled gilt overlay and raised enamelled "jewels" in various colours dotted amongst it. 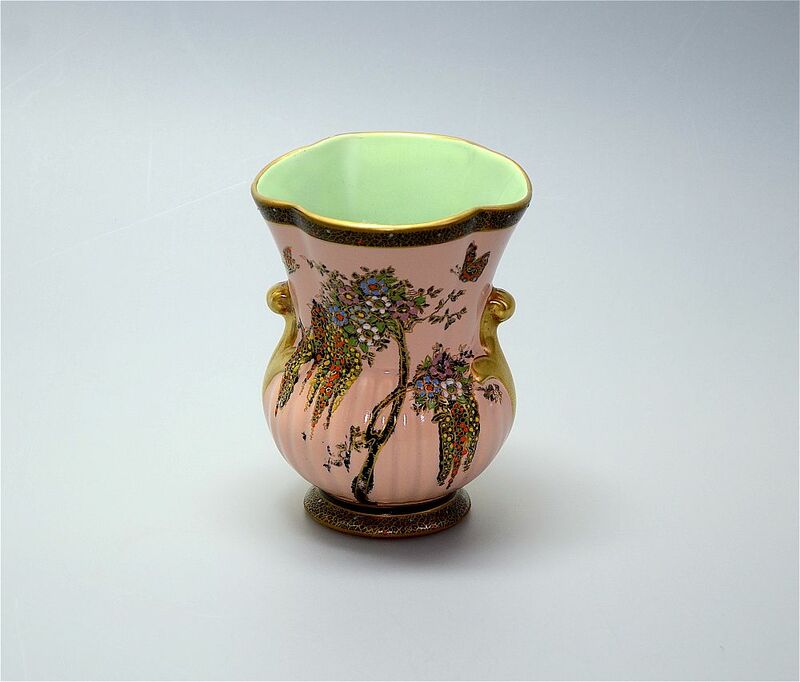 The ribbed bulbous "bowl" and flared top have a dusty pink background decorated with a tree with a black and gilded trunk, gilded weeping branches decorated with raised multicoloured enamelled "jewels" and raised enamelled multi coloured flowers and two gilded and enamelled butterflies. The rear is decorated with a black and gilded branch with gilded weeping leaves with raised enamelled "jewels" and jewelled enamelled flowers. On each side of the "bowl" is a gilded fleur de lys style integral handle. 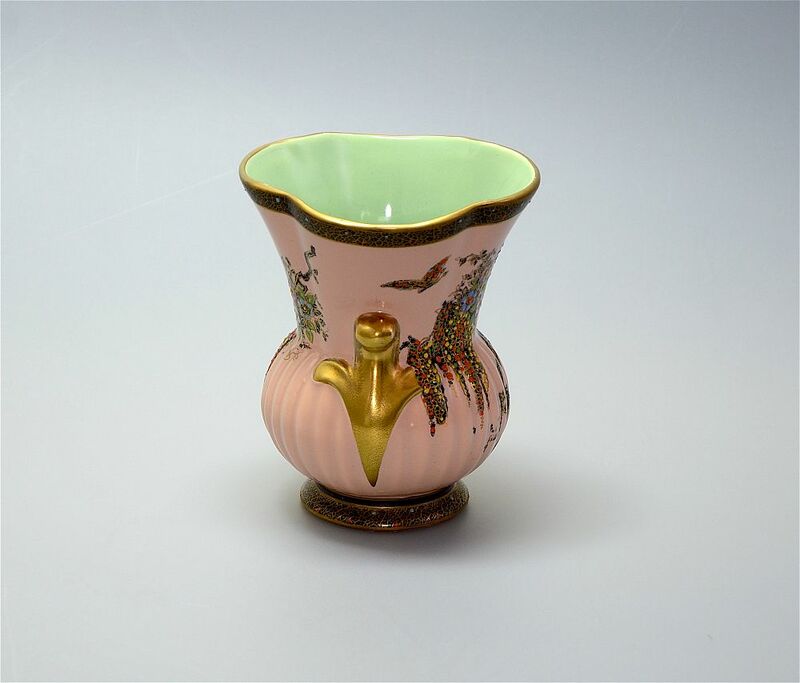 The undulating rim of the top is decorated in the same way as the foot. The inside of the vase is a matt green colour. 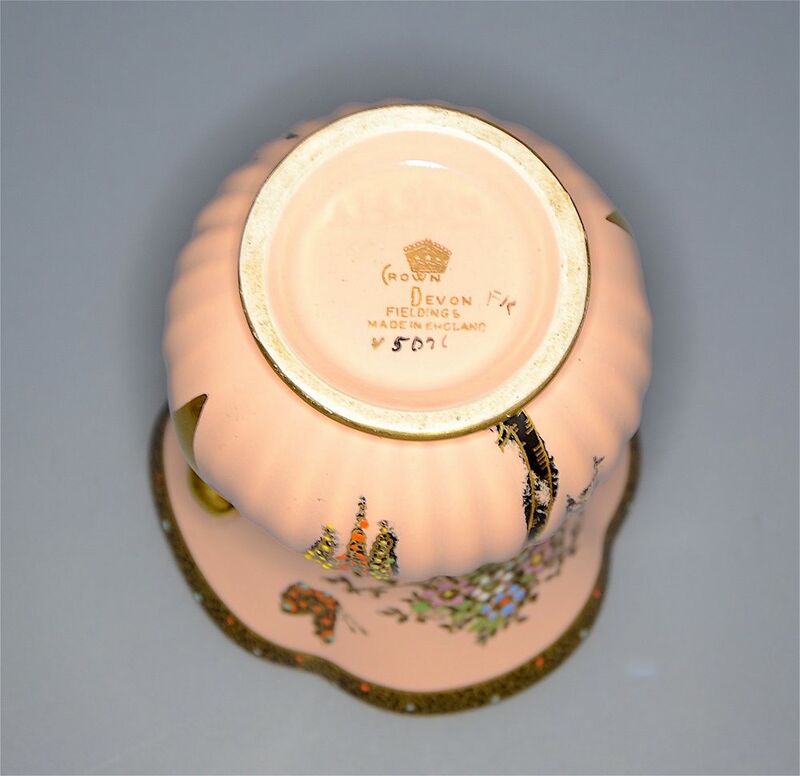 The underside of the base bears the gilded crown backstamp and the words "Crown Devon Fieldings Made in England V5096" with the initials "FK" and the numbers "A145/5123" (the last 3 numbers are a little difficult to decipher).